Kim Dotcom is a German-Finnish Internet entrepreneur and political party founder who lives in Auckland, New Zealand. He claims, “I knew Seth Rich. I know he was the @Wikileaks source [for email leaks revealing Clinton Campaign corruption]. I was involved,” and promised that he would release a full statement on Rich’s murder. 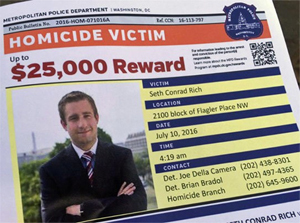 27-year-old Seth Rich was the disillusioned Democratic National Committee (DNC) staffer, believed to have leaked thousands of damaging DNC emails to WikiLeaks, who was murdered in the early morning of last July 10, in a residential Washington, D.C. neighborhood. The Democrats insist that the DNC emails had been hacked by Russia or agents in collusion with Moscow. Panda advised me that he was working on voter analytics tools and other technologies that Internet Party may find helpful. The Rich family has reached out to me to ask that I be sensitive to their loss in my public comments. That request is entirely reasonable. I have consulted with my lawyers. I accept that my full statement should be provided to the authorities and I am prepared to do that so that there can be a full investigation. My lawyers will speak with the authorities regarding the proper process. If my evidence is required to be given in the United States I would be prepared to do so if appropriate arrangements are made. I would need a guarantee from Special Counsel Mueller, on behalf of the United States, of safe passage from New Zealand to the United States and back. In the coming days we will be communicating with the appropriate authorities to make the necessary arrangements. In the meantime, I will make no further comment. Our hope now is in Judicial Watch, the D.C.-based citizens’ watchdog group. This article first posted here. 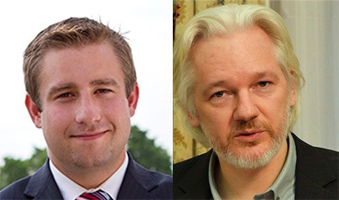 See also: Was DNC’s Seth Rich killed for Wikileaks? This entry was posted in National on May 24, 2017 by admin.